Theresa A. Maldonado, Ph.D., dean of UTEP's College of Engineering, is pleased to announce the appointment of Heidi A. Taboada, Ph.D., as the associate dean for research and graduate studies, effective Sept. 1, 2017. Taboada joined The University of Texas at El Paso in 2007. She is currently an associate professor in the Department of Industrial, Manufacturing and Systems Engineering. She holds Ph.D and M.S. degrees in industrial and systems engineering from Rutgers, The State University of New Jersey. Her research interests intersect broad areas such as applied operations research, systems analysis and optimization, resiliency and sustainability, and metaheuristic and biologically inspired optimization. Her research contributions involve the development of multiple objective optimization models, reliability models, evolutionary game theory algorithms, and agricultural systems optimization models. 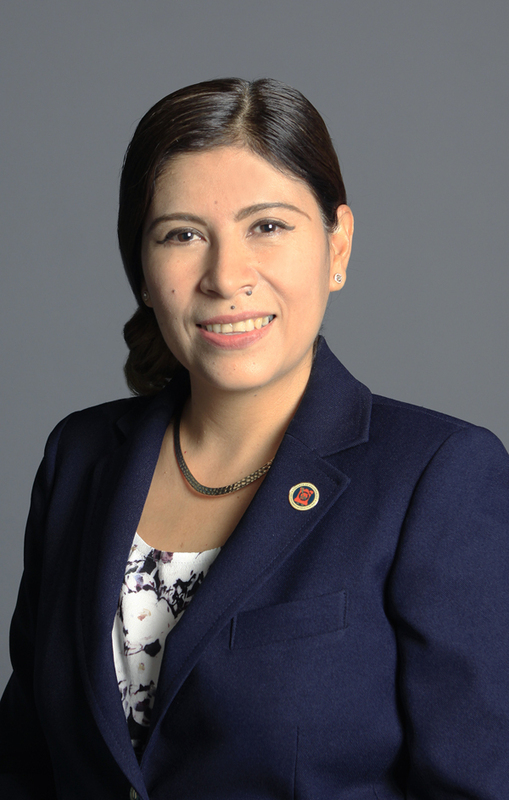 Taboada has expanded her research interests to include innovations in engineering education. She is particularly interested in research related to increasing the participation of minorities and women in engineering. She strongly believes that meaningful experiential learning experiences transform students' lives. Furthermore, her international work includes the development of and participation in different faculty-led study abroad programs in Latin America through funding received by the U.S. Department of State and the 100K Strong in the Americas Initiative. Taboada has been the principal or co-principal investigator of more than $10 million in funding from agencies such as the U.S. Department of Education, U.S. Department of Agriculture, U.S. Department of Homeland Security, and industry. Among her multiple research awards, Taboada was the recipient of the UTEP ORSP Millionaire Research award. She has published over 50 refereed manuscripts in technical journals, book chapters and conference proceedings. Her work has been published in IEEE Transactions on Reliability, Reliability Engineering and System Safety, IISE Transactions, and Quality Technology and Quantitative Management, among others. "Dr. Taboada has demonstrated routinely the power of interdisciplinary collaborations toward achieving research outcomes that impact society," Maldonado said. "She will be a tremendous addition to the Dean of Engineering Office, serving the college faculty and students."